Mitsubishi is presenting a new SUV concept at the 2019 Geneva Motor Show. 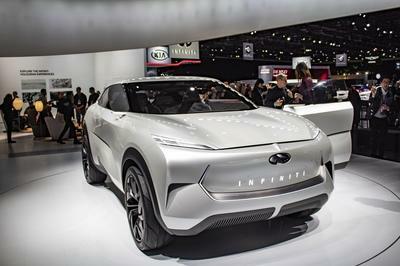 Called the Engelberg Tourer Concept, the all-electric prototype is the latest concept salvo from the Japanese automaker. It arrives almost two years after the automaker unveiled the Mitsubishi e-Evolution electric SUV at the 2017 Tokyo Motor Show. While it doesn’t directly point to a specific electric SUV model, the Engelberg Tourer Concept is a showcase model that highlights the advancements Mitsubishi has made in the field of electrification. As a fixture in the Renault-Nissan-Mitsubishi Alliance, Mitsubishi is now in a solid position to advance its electrified plans for the future. It’s unclear if the Engelberg Tourer Concept is a part of these plans, but with the model debuting in Geneva, it’s safe to say that the concept will play a role in how the company’s electrification plans take shape. As far as design languages go, Mitsubishi probably has one of the most distinctive aesthetic features in its models. Even if our visions are handicapped by the barely visible teaser images, it’s hard not to miss the chubby cheeks of the Engelberg Tourer Concept. In a lot of ways, that’s become one of Mitsubishi’s go-to design details, right up there with BMW’s kidney grilles and Lexus’ massive spindle grilles. I like that Mitsubishi isn’t straying too far away from it because, whether you like it or not, those cheeks are now part of Mitsubishi’s identity. You see it and you know it’s a Mitsubishi. The Engelberg Tourer Concept has them, and they’re even emphasized, in part, by a pair of cool blue C-shaped LED surround lights. The front bumper is very distinct, too. The concept’s cheeks are part of this massive configuration, and while I can still barely see the concept in the teaser, it does look like the Engelberg Tourer Concept looks a bit more on the conventional side compared to the e-Evolution Concept that Mitsubishi unveiled at the 2017 Tokyo Motor Show. 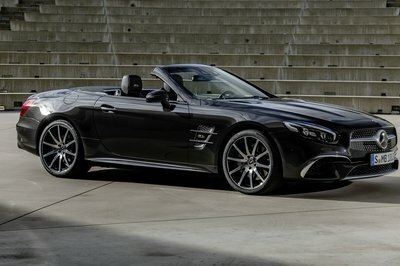 I am a bit curious about the row of LEDs sitting on the roof of the concept. If you look at the side-profile teaser, you’ll notice that the roof either has a cargo box on top or that the roof is raised to create more interior space. Overall, the Engelberg Tourer Concept’s side profile also isn’t as provocative as the e-Evolution Concept. It’s a bit more traditional to the point that you wouldn’t think of it as a concept if you only saw this specific teaser image. Could it be that the Engelberg Tourer Concept is actually a production-ready electric SUV hiding under the guise of a concept? Don’t be surprised if it is. Note: 2017 Mitsubishi e-Evolution Concept interior pictured here. We don’t get a good look at the Engelberg Tourer Concept’s interior, but if we know Mitsubishi the way we think we do, don’t be surprised if the concept’s cabin represents an evolved version of the e-Evolution’s interior. If that ends up being the case, we can expect a lot of horizontal surfaces that stretch the width of the cabin. 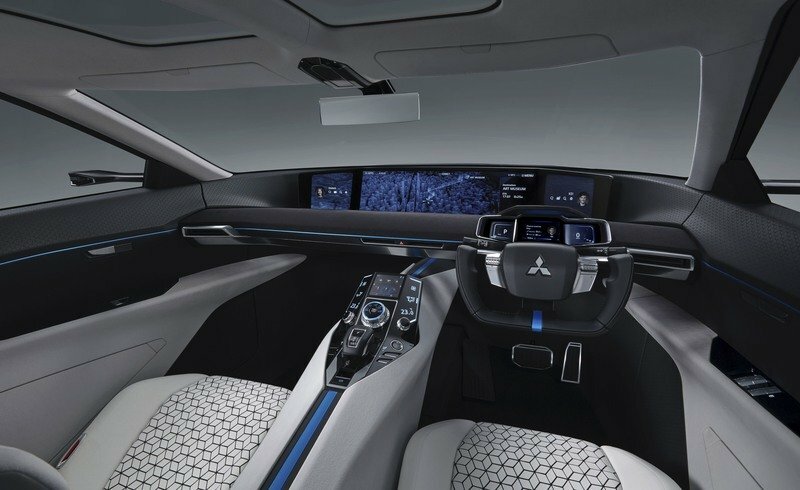 The concept should also feature a huge infotainment display, though I find it hard to believe that it can get any bigger than the one Mitsubishi used in the e-Evolution. Perhaps it’s a more traditional version that still highlights all the future tech that Mitsubishi is developing. I’m not opposed to seeing a similar instrument panel, too, but, again, if the Engelberg Tourer Concept represents an evolved and more production-oriented take on Mitsu’s future electric SUV, it’s highly unlikely that the automaker will continue dangling concept features that won’t make it to a possible production model. A more practical version should do the trick. I’m not too worried about comfort, either. The Engelberg’s more upright profile suggests that there’s more space available in the interior of the SUV. I am interested to know how much headroom this concept has, especially if it really has a raised roof. As far as concept tech features go, I’m not closing the door on seeing something wild out of this concept. Give credit to Mitsubishi in this sense: it’s become ambitious with its automotive tech development. Remember, this is the same automaker that introduced the Personal Assistant and Smart Speaker techs when it unveiled the e-Evolution in Tokyo back in 2017. A more evolved version of either of the two techs, maybe even both, could be included in the Engelberg Tourer Concept. 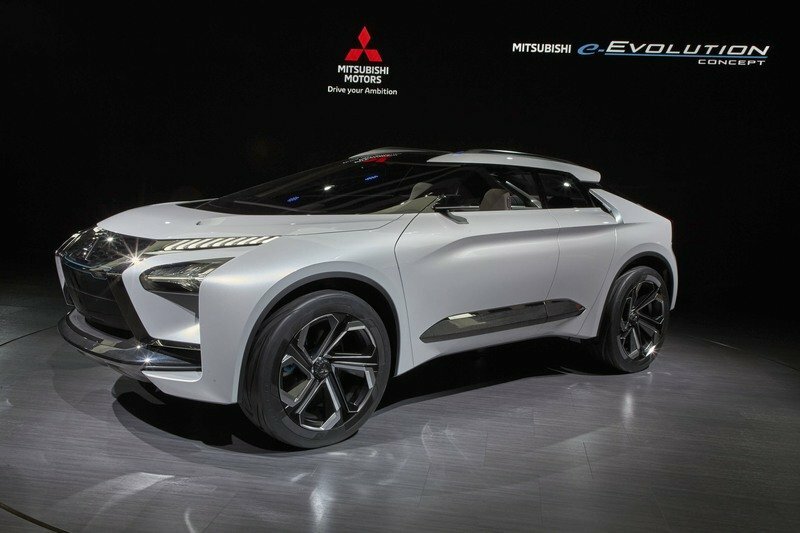 Note: 2017 Mitsubishi e-Evolution Concept pictured here. 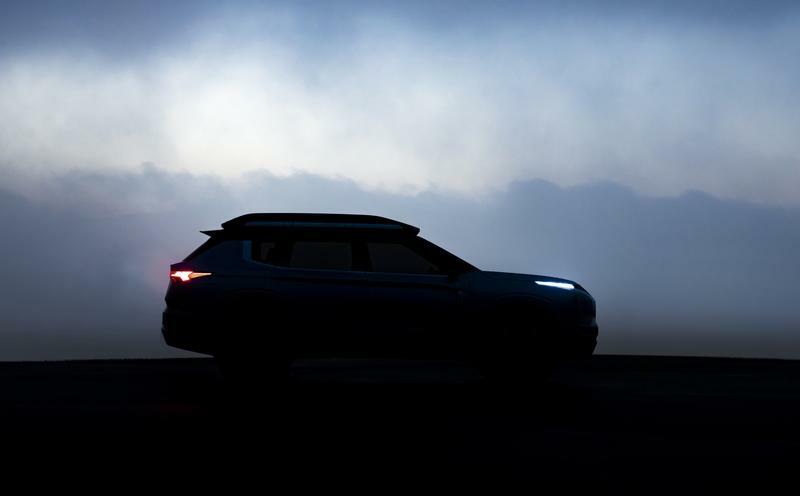 Though it’s unclear at the moment, the Mitsubishi Engelberg Tourer Concept is pegged as an electric SUV. Details surrounding the concept’s powertrain have yet to be revealed, and judging by the two previous concepts, it’s unlikely that we’re going to receive any power and performance specs from the Japanese automaker. That said, Mitsu did say that “enhanced electric performance” is one of the things the company is showcasing in the concept. 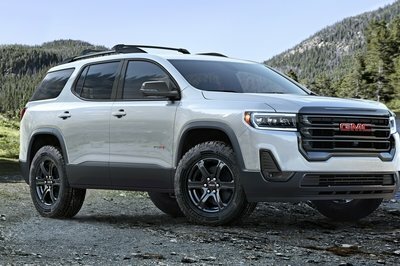 What that means is unclear, but we could be looking at an updated version of the e-Evolution’s three high-performance-electric-motor-and-a-high-capacity-battery-system setup. If this is the case, the Engelberg could also feature an all-wheel-drive system, torque vectoring, and, possibly, active yaw control. Even if this section is about as unclear as an “it’s complicated” relationship status, I’m pretty confident that electrification, whether it’s through a plug-in hybrid or full-on EV goodness, will play a big role in the Engelbert Tourer Concept. We’ll find out soon enough how big a role that’s going to be at the 2019 Geneva Motor Show. I waited until now to let you know that Mitsubishi’s use of the “Engelberg” name is a nod to the prestigious Swiss winter resort located about 186 miles away from Geneva. I don’t know if there’s a connection between the concept’s name and the location of the show that Mitsubishi is doing the unveiling, but it’s a nice little trivia to have in your pocket. What I do know is that Mitsubishi has been raising its game in the development of its recent concepts. 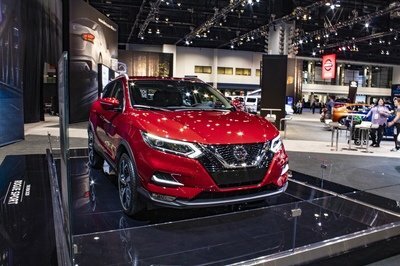 Perhaps that’s because the company is now part of the Nissan-Renault-Mitsubishi Alliance, and, as such, it has access to a lot more technology and equipment that it previously had at its disposal. Personally, I want the Engelberg Tourer Concept to succeed in its goal to draw attention back to Mitsubishi. It’s been a while since the Japanese automaker has had this kind of relevancy in the segment, so it’s comforting to know that the automaker, through a concept like the Engelberg Tourer Concept, is catching up with some of its rivals. Whatever form the concept comes in, I’m more interested to see what Mitsubishi does with it moving forward. 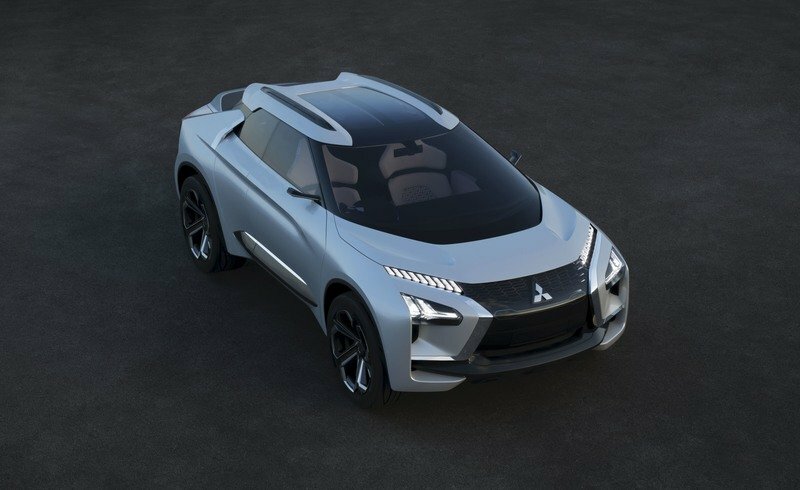 Read our full review on the 2017 Mitsubishi e-Evolution Concept.